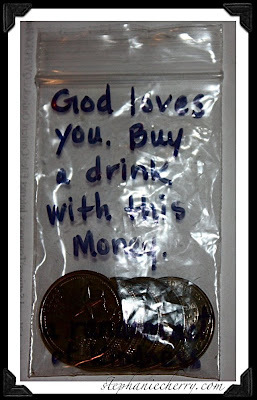 Buy yourself a drink with this money. a random act of kindness." I then strategically placed the bag in my local Walmart. Fun times. God's kindness leads us to repentance.